Upgrade your Asheville adventures by experiencing the impressive features of the new Acura RDX including a smartphone integrated technology interface, a convenient GPS-linked climate control, and an impressive interior. Also, gain peace of mind with AcuraWatch safety features. From the Collision Mitigation Braking System to Lane Keeping Assist, you can drive safer. When you’re ready to take your Hendersonville commute to the next level, stop by Apple Tree Acura to pursue the Acura MDX for sale in Fletcher, NC! 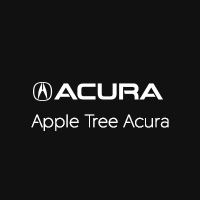 Why Choose a New Acura from Apple Tree Acura? Our sales team is standing by to get you behind the wheel of the model that best suits your budget and driving needs, and it’s their goal to make the car-buying process that much less stressful. Contact us today to get the process started, or to learn more about the Acura RDX. We can also help you find out how the Acura RDX compares to the Lexus NX or the Acura MDX!